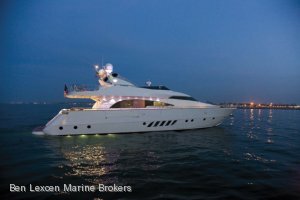 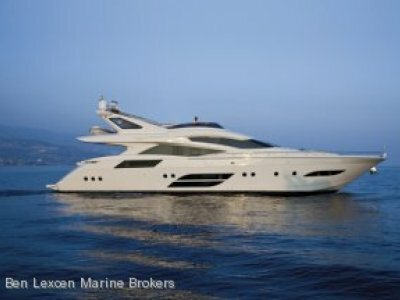 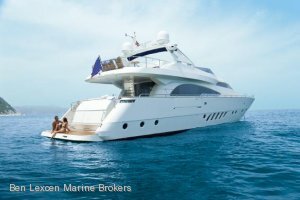 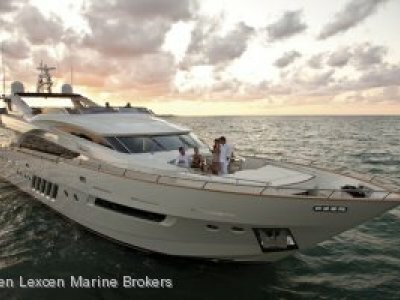 The Dominator 860 Deluxe model, has become “instant classic” in the world-wide nautical panorama and in particular for yacht-owners who love to contribute actively to the styling and definition of their own vessel. 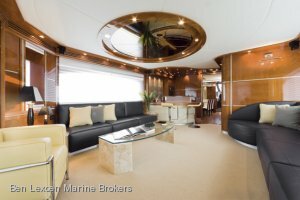 The forward area of the flying deck of all the proposed versions consists of an elegant well furnished bar with hand-basin, fridge and ice maker, a wide table that comfortably accommodates ten guests, and then further forward a well equipped flying bridge with the most up to date instrumentation and three comfortable captains chairs. 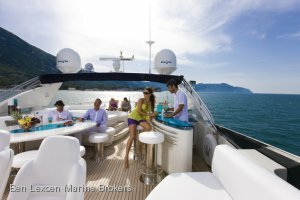 The aft main deck, furnished with a large sofa, a beautiful table in teak and four seats, provides a wide and comfortable exterior living space. 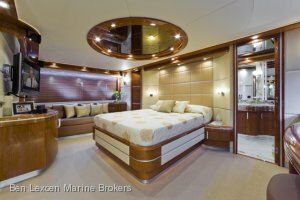 The ample main deck walkways lead forward around the main deck to a large sun pad and still further forward the anchor chain locker and winch which are rigorously hidden below the elegantly finished teak decks. 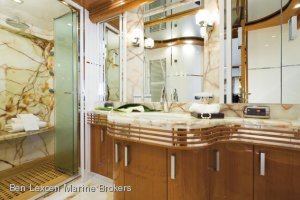 There are three guest cabins which can accommodate up to six guests, one spacious double forward with its own bathroom and toilette and two twin cabins mid ships again also with their own bath rooms. 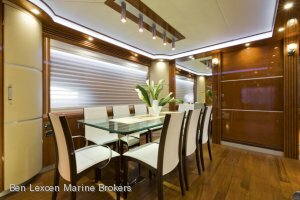 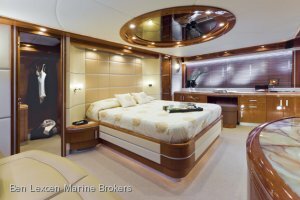 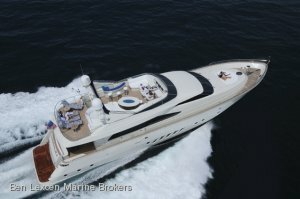 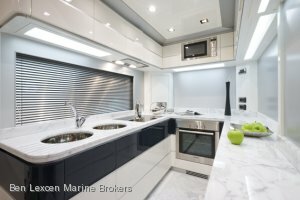 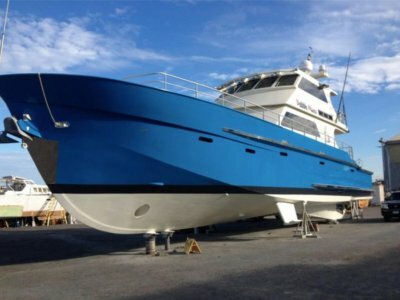 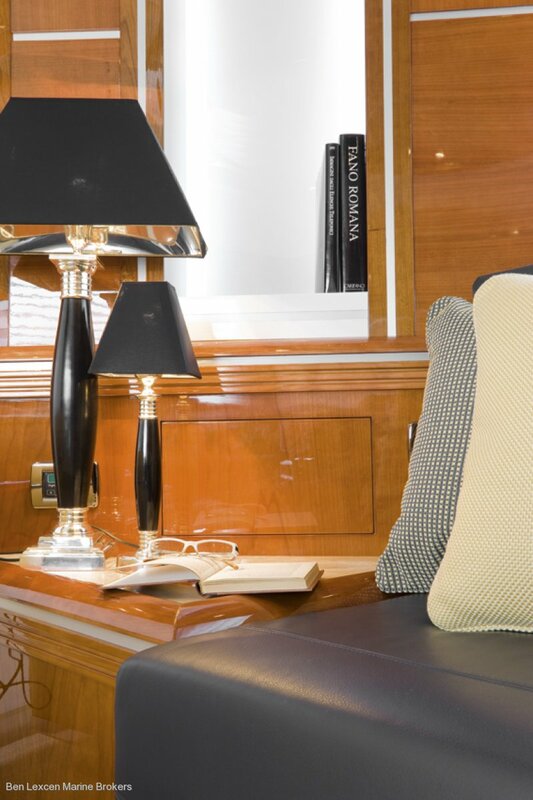 All the cabins are finished in the highest quality material and accessories of refined Italian design. 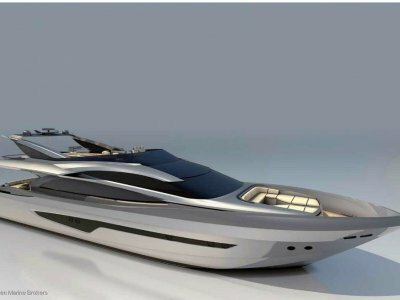 2 x CAT 1825 hp.